I first heard about Prostart when I was given the opportunity to do an Apprenticeship in IT back in 2011. I have always been practical and didn’t want to further my education through 6th form or university. I looked into doing an Apprenticeship and felt that they would suit me a lot better. The main benefit has been gaining a full time job. 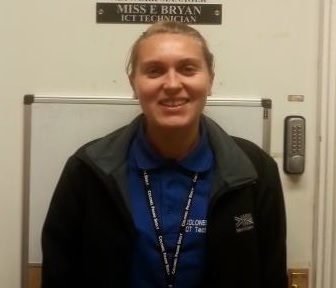 The programme has helped me a get a job as a full time ICT technician in a school which is what I was aiming for. Also my knowledge has been widened. I feel a lot more confident in what I do with having the Apprenticeship in place. Prostart have been a huge help to me. My assessor has guided me in the right direction, through all my units and exams. An example is going to Belgrave rooms in Nottingham city centre where I’d meet my assessor and other students and we would go through the exam revision and coursework units. These have been highly useful throughout my course. I would recommend an Apprenticeship to anyone who is looking to get straight into the working world but also wants to learn and gain important qualification and skills at the same time. My employer has helped by allowing me the time to do my coursework and also teach me new things all the time that may be useful in my future and for completing my Apprenticeship. My plans include, start looking at Microsoft Technology Associate work that Prostart introduced me to. I would like to gain as much knowledge and get as many qualifications while I can. I will also keep working hard at my workplace by maintaining and updating the school systems.